Ques: Explain the importance of reproduction in organisms. Ques: Describe the process of fertilization in human bings. Ans: The production of a new individual from parents body is known as reproduction. Ques: Write the modes of reproduction. Ans: There are two modes of reproduction. Ans: The fusion of male and female gametes is called sexual reproduction. Ans: The production of new individual by the involving of only single parent is called asexual reproduction. Ans: Sperms are male gametes which are produced by testis. Ans: Ovum is female gamete which is produced by female organ ovary. Ques: Write the names of male reproductive organs. Ques: Write the names of female reproductive organs. Ans: Fusion of male gametes sperms and female gametes ovum is called fertilization. Ques: Write the kinds of fertilisation? Ques: What is test-tube baby? Ans: Some women are unable to bear babies due to blockage of oviducts, resulting in ovum can’t reach in uterus for fertilisation. In such cases doctors collect freshly released egg and sperm and kept them together for a few hours for in vitro fertilisation. When fertilisation takes place zygote is allowed to develop for about a week and then it is placed in mother’s uterus. Babies born through this technique are called test-tube babies. Ques: What is the function of tail in sperm? Ans: It helps in movement. Ans: The stage of the embryo in which all the body parts can be identified is called a foetus. Ans:The transformation of the larva into adult through drastic ​changes is called metamorphosis. Ques: Give two difference between a zygote and a foetus. There cannot be identified the body parts. It develops into embryo. It forms after forming embryo. There can be identified the body parts. It develops into baby. Ques: In which female reproductive organ does the embryo get embedded? Ans:Embryo gets embedded to the wall of uterus and grows. Ques:What is metamorphosis? Give examples. 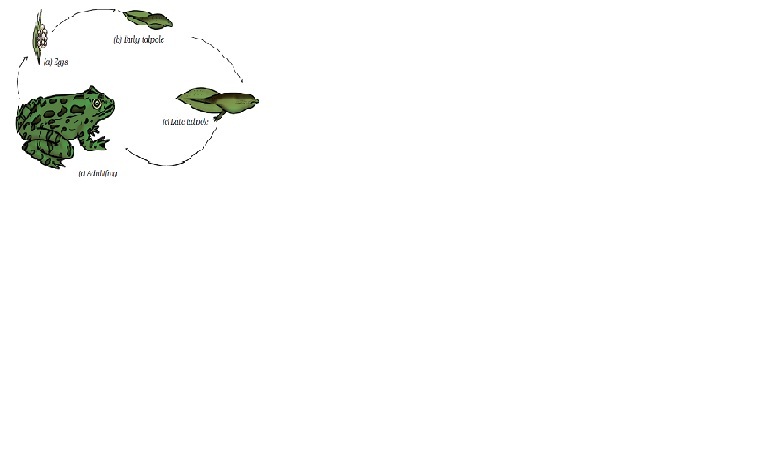 Ans:The transformation of the larva into adult through drastic changes is called metamorphosis. For example, Tadpole changes itself into adult by metamorphosis. Ques: Differentiate between internal fertilization and external fertilization. It takes place inside the female body. Ex. Human beings, cows and other animals. It takes place outside the female body. Ques: What are viviparous animals? Ans: The animals which give birth to young ones are called viviparous animals. Ques: What are oviparous animals? Ans: Those animals which lay eggs are called oviparous animals. Ans: Viviparous animals – These give birth their child. Oviparous animals – These lay eggs to born new one. Ques: what is asexual reproduction? Explain two methods of asexual reproduction in animals. Ans: The reproduction in which only a single parent is involved is called asexual reproduction. There are two methods of asexual reproduction in animals. (i) Budding - Since new individuals develop from the buds in hydra, this type of asexual reproduction is called budding. (ii) Binary fission - reproduction in which an animal reproduces by dividing into two individuals is called binary fission. This occurs in amoeba. Ques: Describe life cycle of frog. Ans: The frogs lay eggs. These are oviparous animals. External fertilization takes place in it. Female frogs give eggs in water and male frogs fall sperm on those eggs. Thus fertilization takes place. The fertilized eggs develop into tadpole and then after the process of metamorphosis they get transformed into adult.